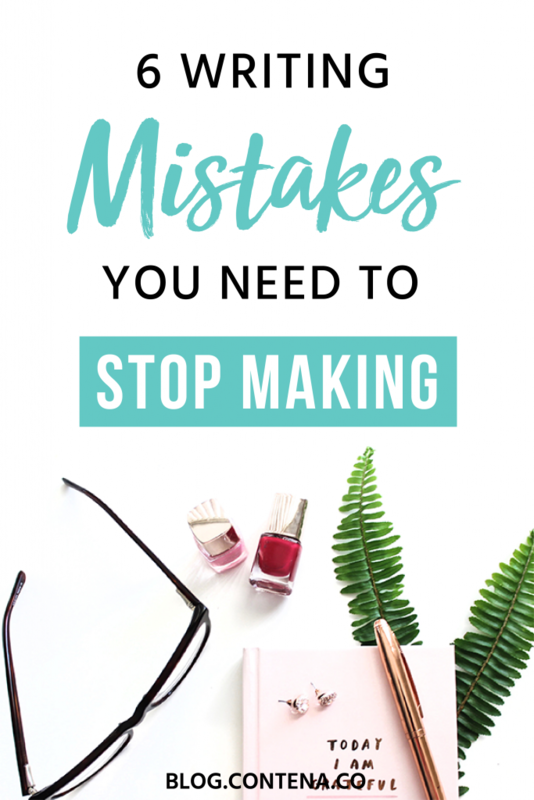 When you’re churning out blog posts, email campaigns, website copy, (or whatever else your freelance business focuses on) day after day, there’s a good chance you’ll make mistakes. However, sometimes we get so used to slipping up, we don’t realize we’re making these critical errors in our work. In light of that, I’ve compiled a list of six mistakes that writers can easily amend right away. 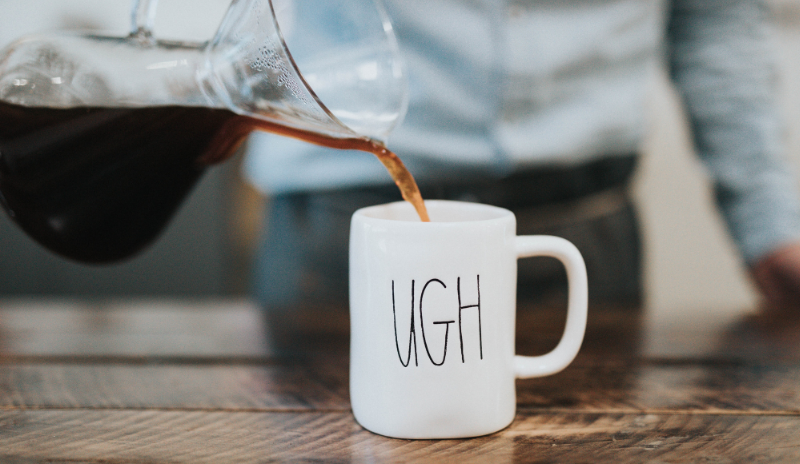 This is especially damaging if you’re a copywriter. The success of your content relies on the reader connecting and responding to your copy. Therefore, you need to define your target audience; otherwise, people won’t engage with your work. So, way before you put pen to paper (or, more likely, fingers to keyboard), create a customer/reader avatar. Then, use this to guide your piece, everything about your content should be thoughtfully crafted to appeal to the persona you’ve outlined. Where do they ‘hang out’ both on the web and offline? What sort of education have they got? What are their professional interests? What sort of career do they have? There are tons of questions to consider when you’re creating a customer avatar, so spend an hour or so honing in on your ideal audience. It’ll be worth the effort in the end. Use your customer persona to work out how you (or your client) could benefit the reader. If you’re writing a landing page, sales page, or email marketing campaign, you should always focus on the benefits of the service, rather than the features. Consider how the product could make their lives better, and go from there, i.e., What are they grappling with, and how can you provide a solution for them? Top Tip: if you’re struggling with this, try interviewing your current customers. Ask your client if you can reach out to their followers, and perhaps offer an incentive to answer a few questions. You need to establish the most significant benefit of the product/service, and how it positively impacts their life. Use their answers to influence your copy. Your headline is the initial thing readers see. It’ll instantly influence whether they’re interested in what you have to say. If you don’t hook your audience from the get-go, there’s a good chance they won’t bother reading the rest of your copy. Top Tip: your headline needs to be catchy while conveying to the reader what your article’s about. If you try and be too funny, or overly gimmicky, you’ll confuse people. When writing for the web, never produce large chunky paragraphs. Instead, make your content as easy to read as possible. Your copy should be scannable. Otherwise, it could come across as daunting, which instantly puts readers off. Top Tip: run your content through the Hemmingway app, and make any suggested edits to improve the readability score of your copy. Using shorter paragraphs. Ideally, between three to five lines. Use short sentences for dramatic effect. Bold words and phrases that are especially important. In an ideal world, you’d get someone to take a read through your work. This is usually the best way to spot the mistakes you’ve missed. However, this isn’t always possible. The next best thing is Grammarly. This tool helps you sift through your work and highlights any mistakes in your spelling and grammar. It also makes vocabulary suggestions to spruce up your copy. Realistically, your first draft won’t be good enough for your client, so take your time, and make as many edits as you need. Top Tip: never edit your work straight after finishing a draft. You should give yourself at least a two-hour break before you go back to proof the content. Coming back to your work with a fresh pair of eyes works wonders. Writing for human readers should always be the priority. However, you need to optimize your content for SEO. Keyword research. By optimizing your content for a non-competitive keyword, you’ll eventually rank higher on Google, and increase the chances of reaching your ideal audience. Naturally, incorporate your keyword throughout your content. Once in the intro, again in the conclusion, and one of your subheadings. Put your keyword in the title, meta tag, and your pictures meta tags. These are just a few of the many things you can do to help boost your SEO juice. This may seem tedious, but it’s certainly worth doing. Never copy someone else’s content. Not only is this unethical, but if Google catches you (and they probably will), they’ll penalize you. Consequently, your content could be taken off Google’s listings! What styles of content are most popular? Do they use a specific tone of voice? What topics are their audience engaging with? Once you’ve done your research, you’ll spot the holes you can fill with your content. Or, subjects you could explore in greater depth, improve, or take a new angle on, etc. I hope the above advice helps you improve the quality of your work. The more you practice your craft, the better your writing will be. Period. However, it never hurts to consciously improve your writing technique, and we’re sure your clients would agree with that too!